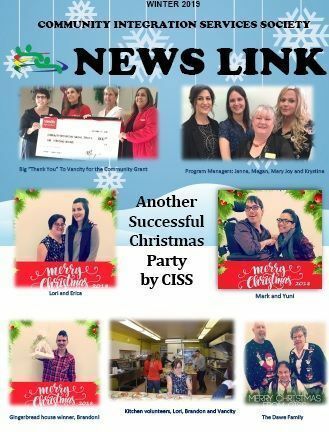 CISS created our first Day Program, Inlet Enterprises, in response to the downsizing and eventual closure of Woodlands Institution (considered a residential school for individuals with intellectual disabilities) located in New Westminster, BC. Over the years Inlet has evolved into a full Community Inclusion Program supporting individuals who are 40 years old up to their retirement age (dependent on the individual’s health and interests), in a range of community activities. As the clients at Inlet age, and their specific and individual needs change, so does the type of care and supports they receive. Clients in the program take part in a range of volunteer, social, leisure, education and for some, employment activities. Inlet participants continue to enjoy their weekly music program which is held at Melissa Park every Monday morning. A musician leads the group inspiring them to sing along, play instruments, expand their musical opportunities.